Magda Romero had no intentions of going to college after graduating from Dayton High School. But her school counselor had other plans. Now, as the new principal of Cummings Elementary, Romero wants to encourage kids in the same way the school counselor did for her. “That’s what I love about my job is to just start planting those seeds and telling people if I can do it, you should be able to do it,” Romero said. 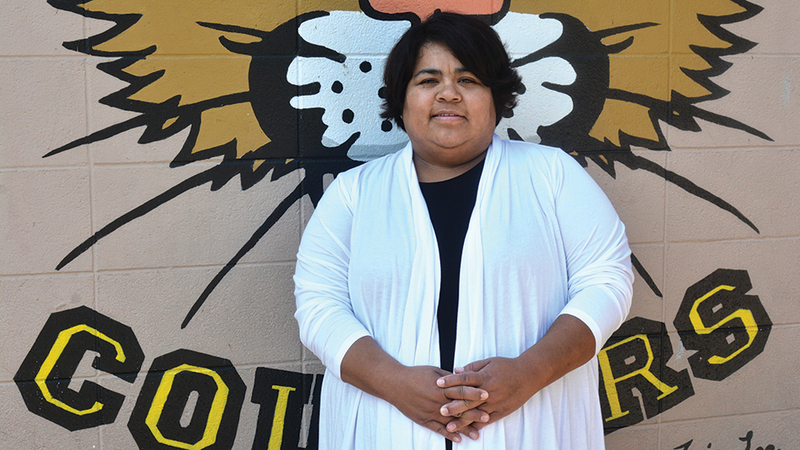 Romero’s journey to becoming a principal started as an office manager at an elementary school in McMinnville. It was there where she was encouraged to go back to school to become a teacher. After finishing what she had started about 10 years earlier, getting her associate’s degree from Chemeketa Community College, Romero enrolled in the Bilingual Teacher Pathway program at Portland State University. Her first job was at Richmond Elementary in Salem, where she taught third through fifth grade for nine years. Romero saw she could make a bigger impact as a principal so she went back to school and got her master’s in special education at Portland State. She spent the 2017-18 school year as an assistant principal, working part-time at Keizer and Chavez Elementary schools. Cummings is her first principal job. Romero isn’t looking to make any immediate changes. Romero, who has three children of her own, has asked the faculty at Cummings to share photos of their families on a wall in her office. Cummings is hosting an open house on Tuesday, Sept. 4 from 4:30 to 6 p.m. Romero looks forward to meeting all the families.